Nano is intended to be managed completely remotely. However, Nano does include a minimal local management UI called "Nano Server Recovery Console," shown in the previous screenshot, that allows you to perform initial configuration tasks. Secure Boot is part of the Unified Extensible Firmware Interface (UEFI) specification that protects a server's startup environment against the injection of rootkits or other assorted boot-time malware. The Resilient File System (ReFS) has been a long time coming in Windows Server. In Windows Server 2016, we finally get a stable version. ReFS is intended as a high-performance, high-resiliency file system intended for use with Storage Spaces Direct (discussed next in this article) and Hyper-V workloads. Storage Spaces is a cool Windows Server feature that makes it more affordable for administrators to create redundant and flexible disk storage. Storage Spaces Direct in Windows Server 2016 extends Storage Spaces to allow failover cluster nodes to use their local storage inside this cluster, avoiding the previous necessity of a shared storage fabric. Nested virtualization refers to the capability of a virtual machine to itself host virtual machines. This has historically been a "no go" in Windows Server Hyper-V, but we finally have that ability in Windows Server 2016. Nested virtualization makes sense when a business wants to deploy additional Hyper-V hosts and needs to minimize hardware costs. Hyper-V Server has allowed us to add virtual hardware or adjust the allocated RAM to a virtual machine. However, those changes historically required that we first power down the VM. In Windows Server 2016, we can now "hot add" virtual hardware while VMs are online and running. I was able to add an additional virtual network interface card (NIC) to my running Hyper-V virtual machine. We used the new -VMName parameter of the Invoke-Command cmdlet to run the Stop-Service cmdlet on the Hyper-V VM named server2. The new Host Guardian Service server role, which hosts the shielded VM feature, is far too complex to discuss in this limited space. For now, suffice it to say that Windows Server 2016 shielded VMs allow for much deeper, fine-grained control over Hyper-V VM access. For example, your Hyper-V host may have VMs from more than one tenant, and you need to ensure that different Hyper-V admin groups can access only their designated VMs. By using BitLocker Drive Encryption to encrypt the VM's virtual hard disks, shielded VMs can solve that problem. This is great feature in Windows Server 2012 and I found this interesting article from MSDN about App Suspend on Windows Server 2012. So, I decide to copy this article from msdn. 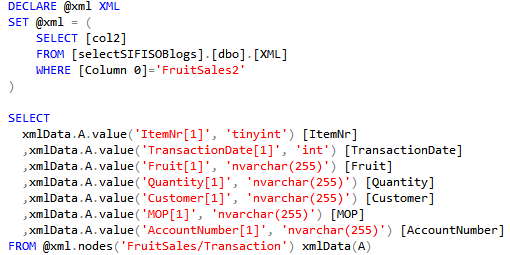 Thanks to msdn. 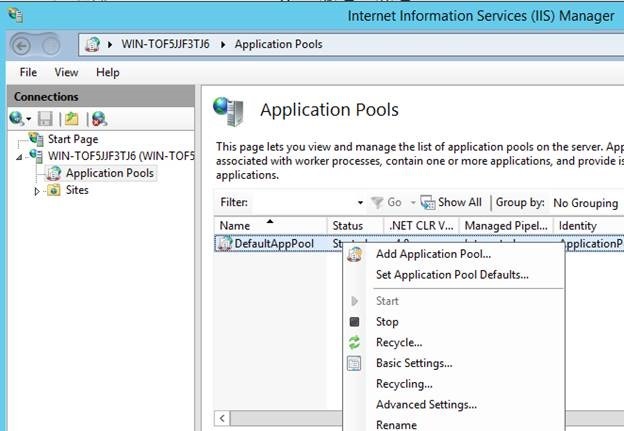 App Suspend is a new hosting configuration in Internet Information Services (IIS) in Windows Server 2012 R2. The only requirement is that your app is running on the .NET Framework 4.5.1, which comes with Windows Server 2012 R2. No code changes are required. It’s literally as simple as the flip of a switch. Let’s take a look at that switch. 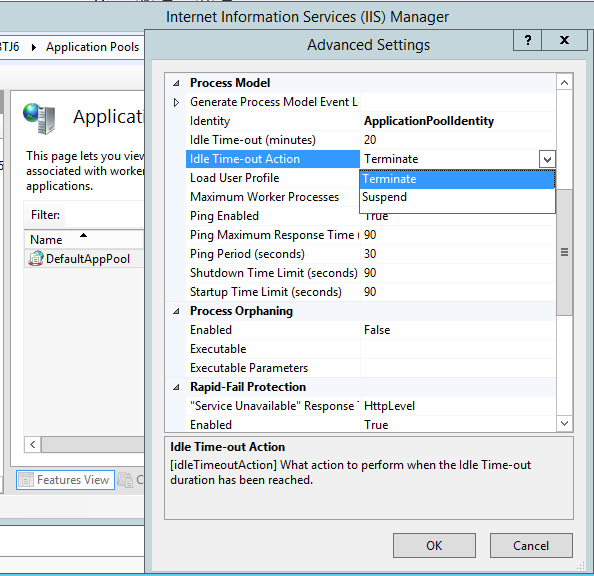 Enabling ASP.NET App suspend is pretty easy, in Internet Information Services Manager. As I wrote earlier, this setting is set on an app pool basis. Here’s what you need to do. 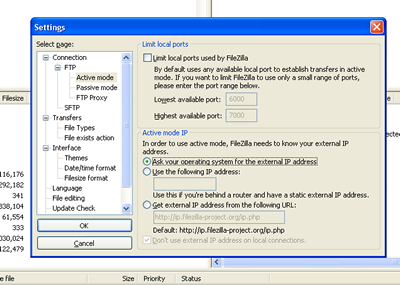 You will see the Advanced Settings dialog. The “Idle Time-out” settings are the important ones to look at for this scenario, particularly the “Idle Time-out Action”. The default for that setting is terminate. Change the “Idle Time-out Action” to Suspend, as you see below. Your app pool is now configured for ASP.NET App Suspend. You will probably want to test out this feature. You could wait the entire 20 minutes, however, I suggest that you temporarily set the time-out to 1 minute, for testing purposes. Do remember to switch it back. 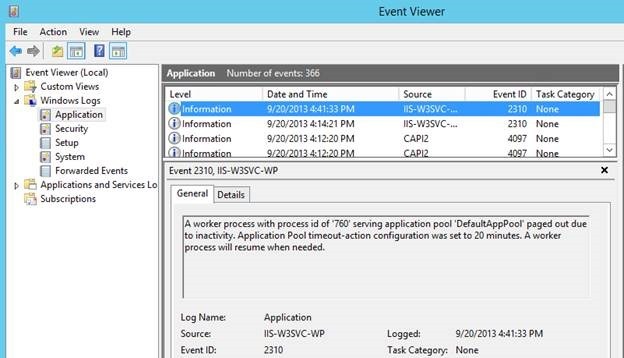 You can validate that an app was suspended in the event viewer, in the Application event log. Search for event 2310. You can see an example event, below.